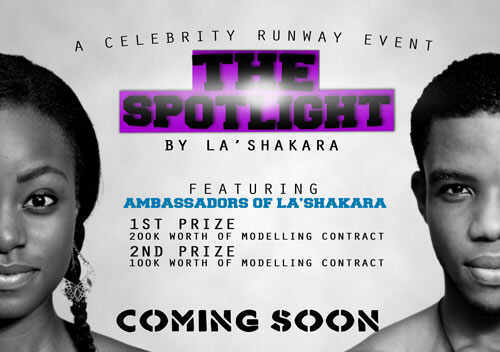 LaShakara wears is a business brand that has shaken Calabar. From deep in the suburbs to the outskirts, LaShakara is well known and appreciated. Famous for some of his catchy phrases on T-shirts such as, ‘FORGET SWAG, I’VE GOT SHAKARA’, LaShakara has taken Clothing designing to a whole new level. You all know him. some may love him, some may hate him, but he’s in-charge. He is, as his B.B.M Display name suggests, Gov. Joe-Edet LaShakara. My name’s Joseph Edet. I’m an indigene of Cross River State. King’s College Old boy, where I showed excellent leadership potentials as school captain (head boy). I’m a graduate of Unical. I was Director of Socials in the Department of Computer Science. I am the C.E.O of LaShakara Culture wears and accessories. A company focused on fashion and general branding. My business has grown from twenty-two thousand naira to two and a half million naira in asset worth in less than two years of existence. So, you’re an entrepreneur. For how long now? Any challenges? I started business in Jss2 but officially since 2010. Challenges. Of course. Challenges are a part of what makes us who we are. 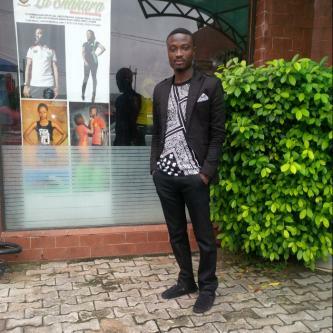 I started as a mobile boutique with four outlets; two in Calabar and two in Uyo. I was able to pay bills and that period was a training ground for bigger business. The turning point came when i attended a business masters class. So, from challenges i have been able to build up strength. For every challenge, i have learnt a new way to overcome problems. So, yeah! What are the extra efforts you put into staying on top? Three things: Style, Packaging and Noise. I know how to make noise. As the name, LaShakara implies, I can make ‘shakara’. Advertisements too. Check flyers and stuff, you’ll always see LaShakara. Also, I’m the kind of person that spends time praying once in a while. That’s a major thing I do; I pray a lot. There was a time when nothing was coming. We used to make like twenty-five thousand naira profit a month and it was excellent but now, we make like seven hundred thousand naira profit a month. It’s mind-blowing. That’s more than 1000% growth. Right now, we are at a point where we are opening two more branches, one in Abuja and one in Port-Harcourt and we are trying to see how we can increase our monthly income to two million naira and in Abuja we are looking at Silverbird Cinemas. Was this always your dream or would you rather be doing something else? Since 2005, I’ve had a dream to own a boutique. 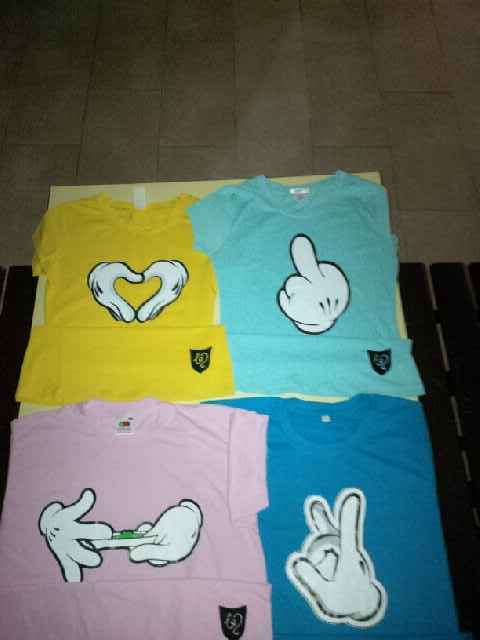 Clothing is a major product you find in boutiques so, I’m still in line with the dream. I’m the kind of person that plans years ahead. So far, it’s been adventurous, challenging and promising. Why I say so is because we are gaining grounds every day. We are getting new clients and 90% positive reports. 10% are just normal negative reports from mistakes and errors. There is growth so it’s very promising. What’s a typical “LaShakara” day like? I like to watch movies a lot. It helps to calm me down. Sometimes, I sneak out of the office to go to the cinema to watch movies. They don’t know (referring to LaShakara staff). I go to church a lot. I hang out but not a lot. I’m very jovial. I have a hard face, trust me but you’ll get to discover that I’m one of the craziest persons you would know. Good one! I love African couture. Right now, I do alot of Kasbit that is if I have to get my stuff from someone else. What’s your idea of a perfect outfit? I think fashion is what you buy and style is how you wear it. Fro me, my perfect outfit is simple, elegant and unique. Just look simple and elegant. I don’t like flashy colours, too. The whole colour riot thing, no! Hmmmmm…. I have a blazer. A brown suede blazer by Marks & Spencer. What’s the most treasured item? My most treasured fashion item… I love that blazer a lot oo. Yes, I am. I’m in a deep one. Her name’s Florence. On marriage plans, he says, of course, by the end of next year or early 2015. She’s a lawyer. I would like to get married even next year but I have to take it slow and put a lot of things on ground first. Five years from now… I should be preparing to contest for House of Representatives, thank you very much. Also, I’ll have a business conglomerate; different businesses like a LaShakara Aracde, a bar, fashion houses nationwide and at least two international branches in South Africa and Canada, probably. So, there’s been a buzz about your upcoming show, ‘THE SPOTLIGHT’. Could you shed some light on that? Okay. It’s a celebrity runway event. 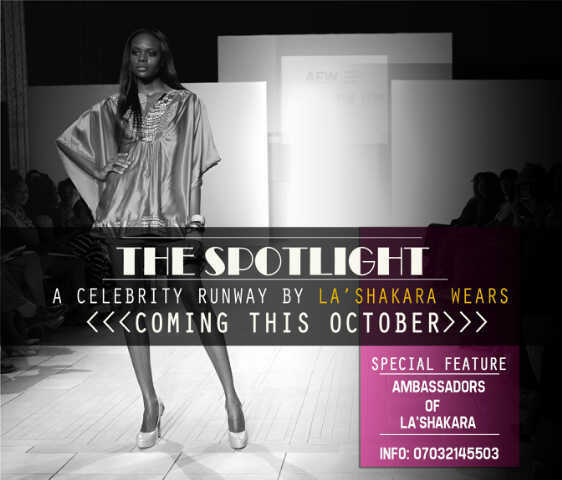 We are getting celebrities in showbiz, successful entrepreneurs and entertainment industries on the runway. We are also going to be giving the awards of excellence. The show’s going to take place at CULTURAL CENTRE on OCTOBER 13TH. This is going to be the biggest show Calabar has seen, fashion wise. We are also going to feature the Ambassadors of LaShakara where we get our representatives who will model our wears on billboards, brochures and our upcoming look-book. The theme, ‘THE SPOTLIGHT’ will continue but it’ll have different outlooks. My number one life principle is ‘BE the one to add positivity to the next person.’ In whatever you do, just make sure you add positivism to someone’s life. This entry was posted in ...Inspired, Ads, Interviews and tagged a good read, adverts, blog adverts, Calabar, Entertainment, events., Fashion., Fun, Horizon Inc, Lashakara, leisure, male fashoin, passion, THE SPOTLIGHT, watch this space!!!!. Bookmark the permalink. ← 6 weeks to IMPACT lives, 6 weeks to LEAD & stand out, 6 weeks to EXPLORE Africa. nice one Joe. More grease to your elbow. i pray other calabar guys are emulating ur hardwork, creativity and vision.